Snow retention systems have been utilized throughout history and are essential for any location that receives even a small amount of snow per year. Modern snow retention systems and snow guard systems are strong, lightweight components that attach to an existing roof to protect it and its attachments. With the possibility of snowfall approaching, the use of these protection systems would be a smart choice to avoid the possibility of snow damaging your property. Buildings will often have roofs that are differing levels. As a result, snow tends to fall from the higher roof to lower one resulting in an increase in accumulation on the lower levels. Protective systems, such as guards, reduce the amount of accumulation on the lower levels, thus reducing the snow’s impact. In addition to , roofing structures and vents are also protected as snow the weight and pressure from snow can increase with even small amounts of accumulation. 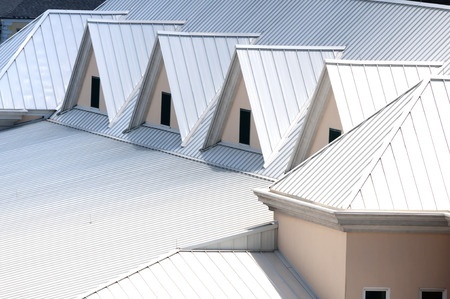 These factors combine to help add value to the roof while also protecting the roof investment. Snow that is trapped by gutters and other objects represent a significant hazard to both landscaping and any passing ground traffic below. The use of snow retention systems reduces this hazard as well as protect the investment in landscaping. They allow the snow and ice to melt and drip off the roof in order to avoid what is commonly known as a roof avalanche. 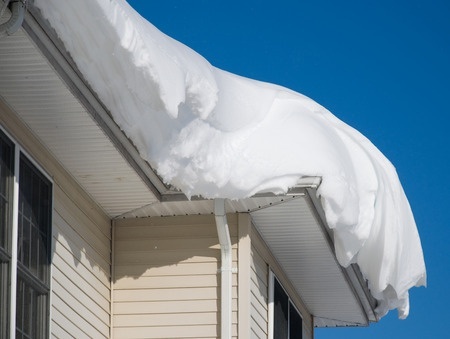 A roof avalanche can cause major damage to people, pets, cars, landscaping, gutters, plumbing vents, lower roof areas, skylights and anything else that might be in the immediate area below your roof. Also, the use of snow retention systems also could help reduce liability concerns, especially in areas where there is a large amount of pedestrian traffic. AMSI offers a variety of snow guards and snow retention options for any size project. The S5 clamp and bracket system offers the right choice for any snow guard or retention system installation. It is one of the strongest systems available and it is durable in all conditions. It is also designed to provide maximum strength and load bearing and it is available in a wide range of sizes, thus it can be used with most roofing systems. One of the great things about the S5 system is that it will last for the lifetime of the roof. Roofs and roofing attachments represent a large investment in both time and money. Thus, it is crucial that these vital structures are protected. Snow guards and retention systems offer the best protection against snow accumulations and related hazards. Therefore, now is a great time to see what the S5 clamps and related products can do to help your business.